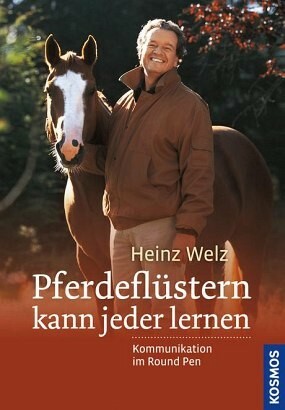 Product information "Pferdeflüstern kann jeder lernen"
Horse Whisperers speak in a language that only horses understand - body language. This is based on careful observation of the behaviour of horses. For many years, Heinz Welz has shared his knowledge in seminars, and now, in this practical guide, he shares his experiences. Step-by-step, you will learn how to interpret horse behaviour and properly use the correct body language in the Round Pen, gain knowledge, learn techniques and methods, and develop the right ‘horse-senses’. Then you can communicate with your horse in his own language!